There are two types of automatic rising bollards. One is the split type and the other is all in one type. For all-in-one type, there are two mechanisms, commonly used one and shallow mounted one. The casing height of the commonly used one is 1130mm and the casing height of the shallow mounted one is 900mm. Storage Environment ：-10℃~65℃, Water-proof Damp-proof, Dust-proof. Integrated mechanism ：stroke 600mm, outer diameter 60mm, rod diameter:16mm. We have passed the anti-crash test executed by the Public Security Ministry for the automatic bollards. And we have been issued the certificate. In Chinese standard, our crash rate is B3.B is the code of the crash resistance. The required vehicle weight at B level is 6800kg at the speed 65kg. The resistance is 1108Kj. 3 means the penetration range at 7.01-30. 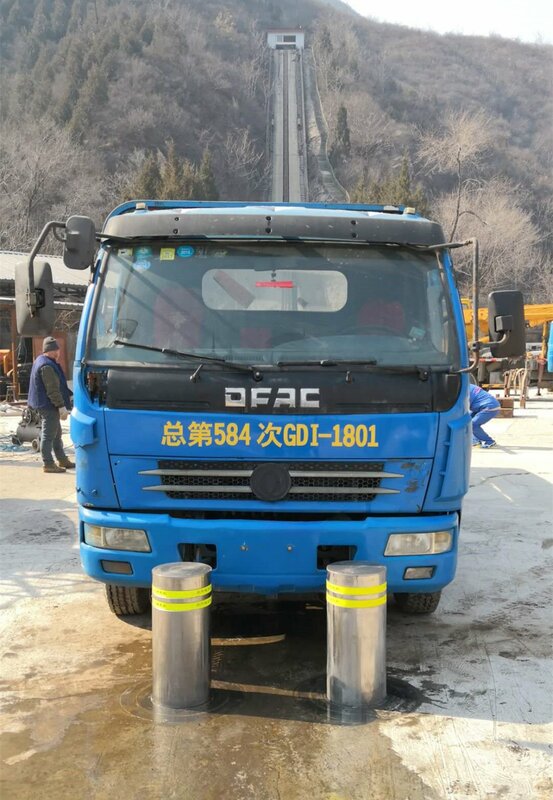 The automatic bollards are the 273mm diameter, 10mm thickness,600mm height. The up or down of automatic bollards can be operated by a security people which stationed in a guard house. Also by someone placing the right code into an access control system or by a driver, pressing a remote transmitter. 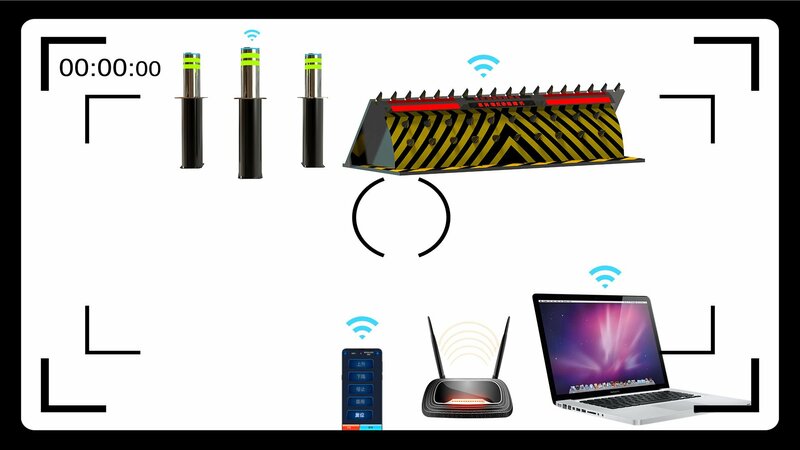 What`s more, we have developed a cellphone APP and PC software for the hydraulic rising bollards. With this system, we can control the automatic bollards by cellphone and PC. The APP can be downloaded in the Android and APP store. Each APP/ software controller has a unique ID. With this ID, you can control the bollards by a network. The system can also integrate with CCTV camera to be a visual system. The security people can monitor the site situation with his cellphone. In case there is an emergency, he can use his cellphone or PC to control the retractable bollard. This new technological breakthrough is a revolutionary improvement. This is a milestone for our company.